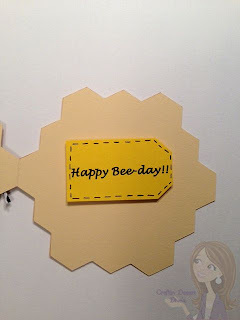 Craftin Desert Divas Blog: Happy Bee-day!! This is perfect for my "Pun" Linky Party that is going on right now!! I made this quick "Pun" birthday card today for Mr. Black who's Madison & McKenzie Kindergarten teacher. I always have a hard time making masculine cards. I always want to add glitter and bling. This time I decided to keep it simple. This card was inspired by Janis at Pause Dream Enjoy as she did a similar shaped card and it was adorable!! I did duplicate then weld the honeycomb shape to make a shaped card. I love the faceless bee from KaDoodle Bug Design. The best thing about it is that it's over on their site for FREE!!! I did my first print and cut. Woo Hoo! I couldn't figure it out for the life of me but in a Facebook group for Silhouette SD and Cameo users Karen was nice enough to do a tutorial and I figured it out. I'm so excited!! Come on now I want to see your Pun project. Cute. 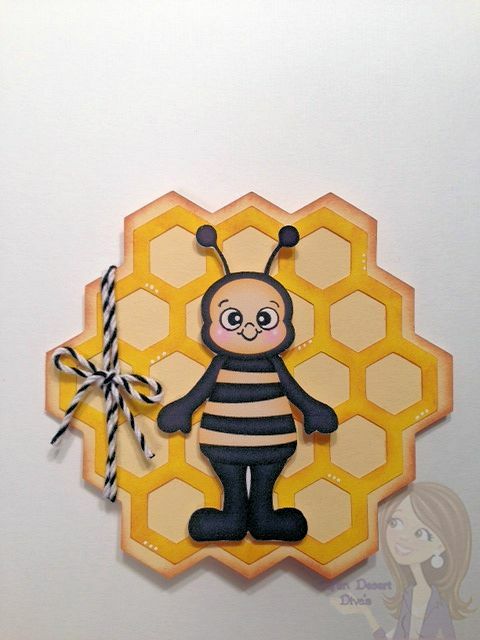 This BEE likes all Bee cards including yours. Adorable Tara. Love the little Bee. Love! That bee is so cute. Love the hive shaped card! TOO Stinkin Cute! !Funny TOO! !Love it! Super cute card. Great shaped card. Oh how stinkin cute! Love this and that bee is adorable! This is so adorable Tara!! I have a hard time make a masculine card as well....but you nailed it :) Fabulous job and it is adorable! Thanks for playing along with Silhouette Challenges!! Cute, cute! 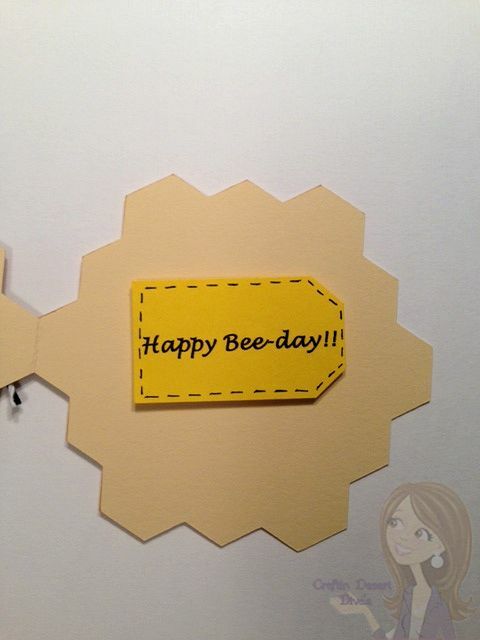 Everyone should have a happy bee-day! :) Thanks for joining the Silhouette Challenges!